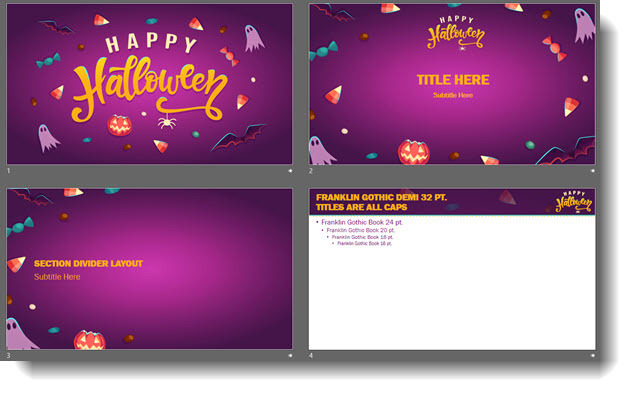 Christie is on the TLC Creative Design Team, and developed this fun Halloween themed PowerPoint template! DOWNLOAD HERE – 1 MB, PowerPoint 2016, and FREE! 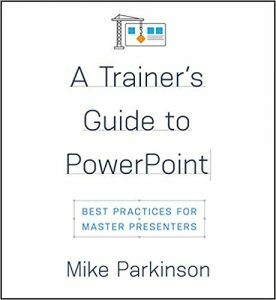 Mike Parkinson, a Microsoft MVP for PowerPoint, has a new book available; A Trainer’s Guide to PowerPoint! The subtitle “Best Practices For Master Presenters” is almost misleading in that it seems to limit the scope of this great resource. This is 180 pages of professional tip, after professional tip – and it is as much about presentation design as it is about presenting. The book is officially divided into 3 sections; Discovery (identify the presentation goal), Design (create the presentation), and Delivery (present). BUT, the Design section could easily be 2 or 3 sections. 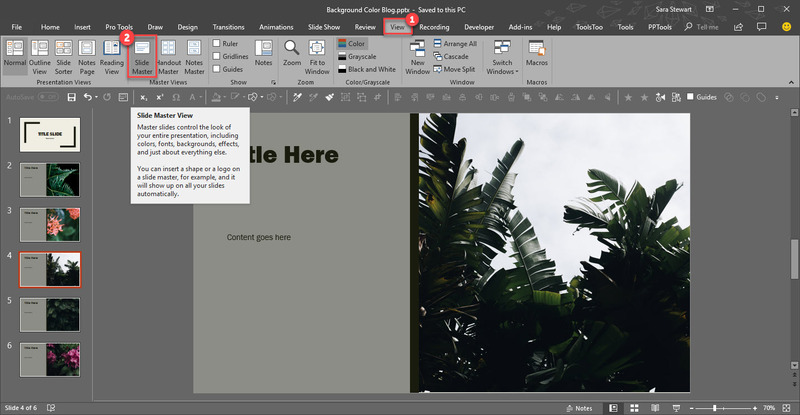 It has fantastic tips on developing the presentation content storyline (very different from designing the actual slides) and then a huge number of design tips (developing the actual slides in PowerPoint). 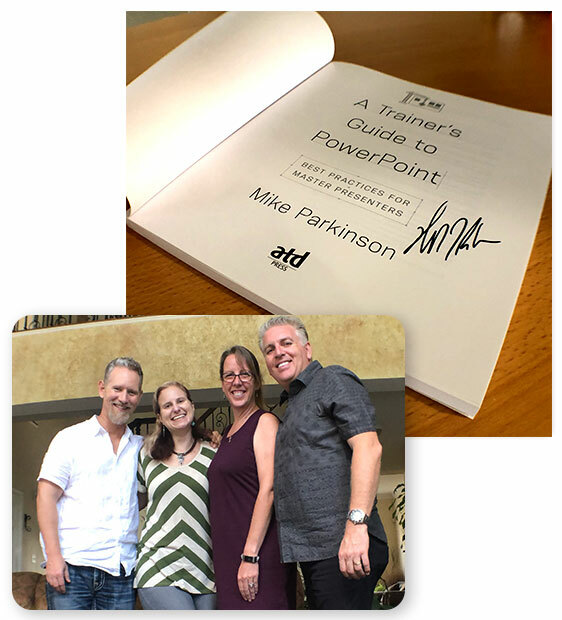 Not bragging, but on a recent visit to Washington, DC, Lori and I spent an afternoon with Mike and Jen Parkinson, and received an autographed copy of “A Trainer’s Guide to PowerPoint”! Presentation Ideas Conference 2018 is happening soon! PresentationPoint makes some amazing software to use PowerPoint to control digital signage (and more). 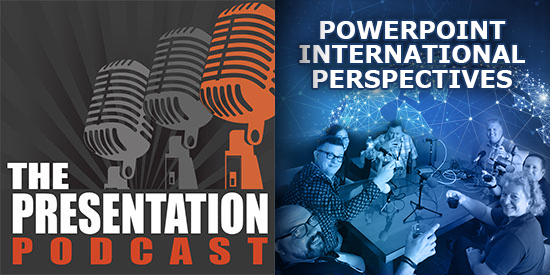 They are sponsoring an upcoming online presentation conference that has a lot of great topics, information, and is FREE to register to attend! 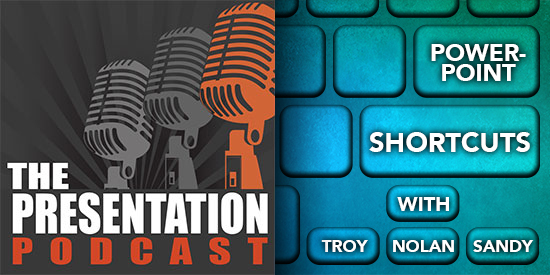 TLC Creative’s Troy Chollar will be presenting at this year’s Conference 2018 November 28th at 11:00 AM (PST). Troy is bringing examples of recent “ultrawide” PowerPoint projects for “Really, Really BIG PowerPoint (Screen Size, not File Size)” talk and covering not only insights into the design process, but the technical how-to’s of developing an ultrawide PowerPoint file. Cost: Completely free! Just register online to receive updates and reminders leading up to the event. – Today I received a presentation from a client and their script (for teleprompt, so I know they are saying every word in the script). The presentation has 43 slides, with 1 video. The script has 2,854 words. There is 1 video that is 90 seconds long. The agenda shows their talk time on stage is 20 minutes. Does all this work? Can we assume the presenter can accomplish this talk within their time allotment? – Generally we plan 45 seconds of their time for the walk up music and crowd applause. – The video is 90 seconds. – Using a talk time calculator, 2,854 words at a standard rate = 22 minutes. – 45 second walk up + 22 minutes talk time + 1.5 minute video = 24.25 minutes for the presentation… high probability of not being completed within the 20 minute slot. 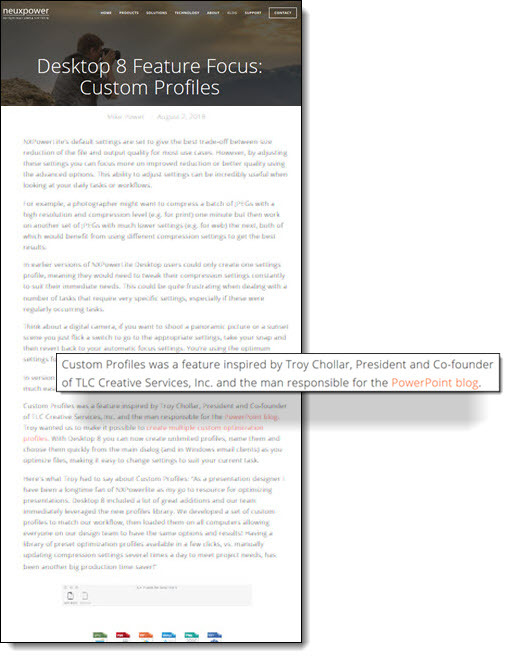 This is a very nice, free, online tool we use at TLC Creative Services for many projects. Hope it is helpful! 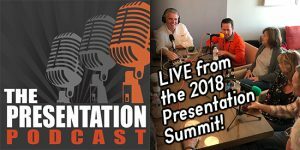 The Presentation Summit 2019 – Dates are reserved on my calendar! Lori and I had a fantastic time at the 2018 presentation Summit hosted in San Diego, CA. Just putting out advance notice, the 2019 Presentation Summit website officially announces the location and dates for next year. Lori and I will be attending, hopefully presenting again and would enjoy seeing you there!